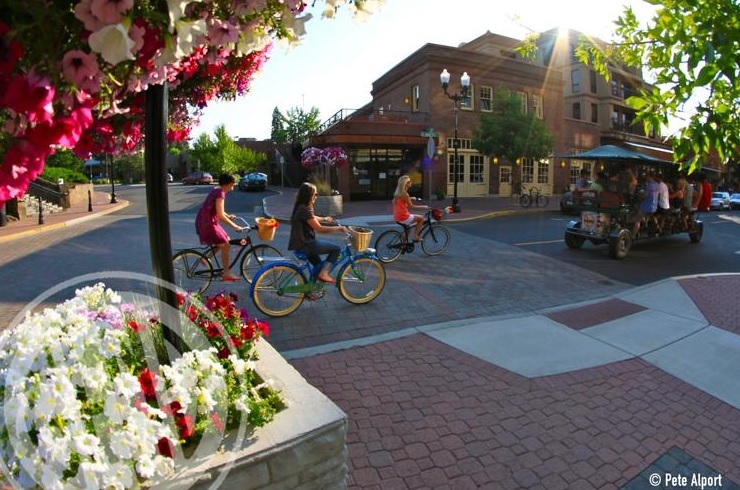 BEND, OR -- With the start of the busy tourist season, Visit Bend has launched the "Visit Like a Local" campaign, to help tourists fit in to the local culture. The $3 million campaign includes the Ride Bend summer shuttle, which starts Friday. The free shuttle pilot program runs seven days a week, 2-10 p.m. through Labor Day. Visit Bend CEO Kevney Dugan talked about the plans at a recent tourism forum at the Tower Theatre. "This Visit Like a Local campaign, we saw this as a great way to get that advertising out to people, thinking that route that that shuttle is going to take is going to be seen in all the core tourism areas." The Ride Bend shuttle stops at The Old Mill District, downtown and other popular destinations, every 15 minutes. Dugan says, "Think of it as a mobile billboard, where now we can get that 'Visit Like a Local' message out. As they're waiting at a stop to get a ride back from The Old Mill they get this friendly reminder. I think one of the sides of the busses says, 'fill, swill, refill; give disposable the boot.'" The Visit Like a Local campaign also offers advice on dog park and mountain bike trails etiquette and tips on handling roundabouts.